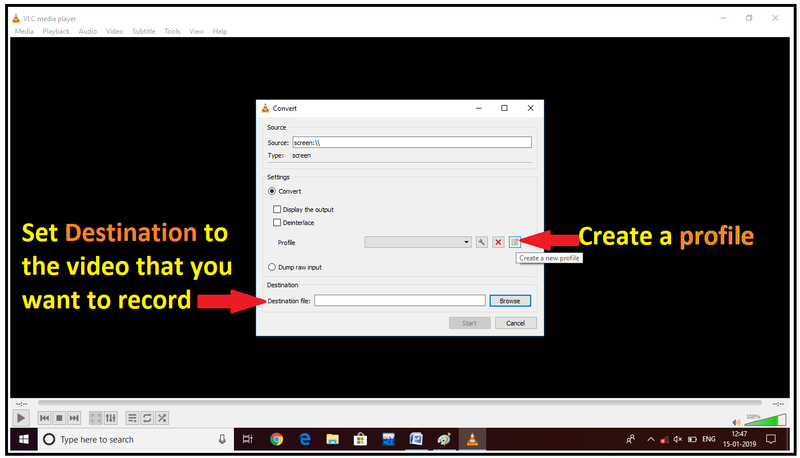 Home » Tech How » How to record computer screen using VLC media player? Record Computer screen using VLC. Today, there is a number of reasons for which one can require a screen recording software for their computer like someone wants to record a tutorial video or someone want to make youtube videos. 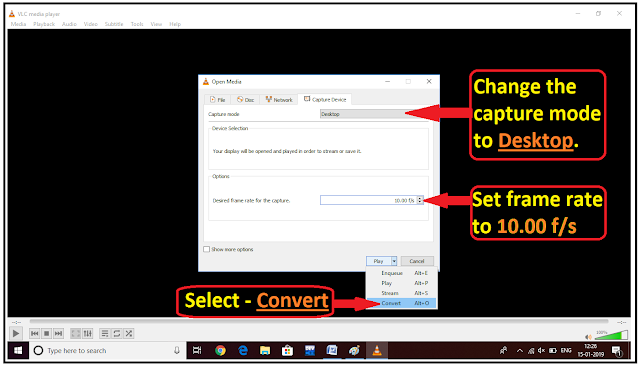 And to fulfill this need, you can download a number of free software which are available on the web but what happens when you come to know that your own favorite VLC media player can do the same for you. 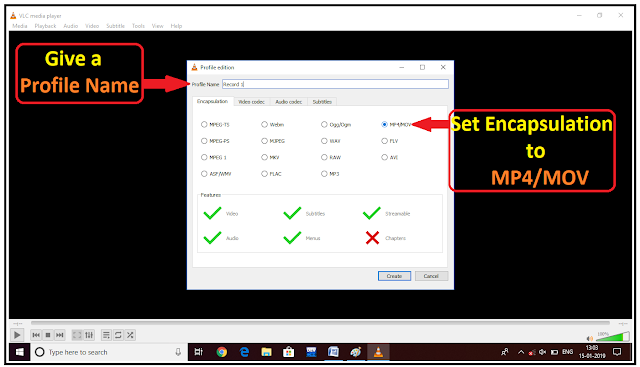 Yes, your VLC media player can record your pc screen for you and now you don’t have to download and install any external software just for a simple screen recording task. Steps required to record computer screen using VLC media player. 1. 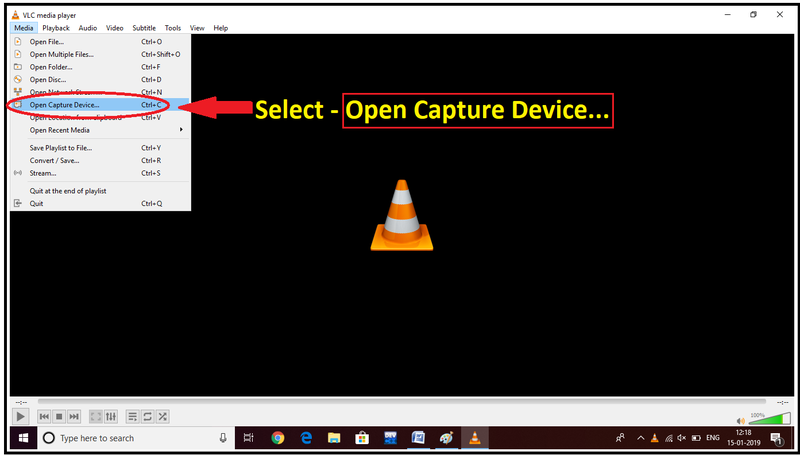 Open your VLC media player and go to media in the upper left corner and under media select Open Capture Device. 2. Here you have to select capture Devices, under capture mode you have to set the capture mode to Desktop and set frame rate of 10f/s. You can change the frame rate according to your need but it is best to keep it 10-20f/s. After setting the frame rate move to play button as shown in the picture below and open the drop-down menu and select Convert. 3. 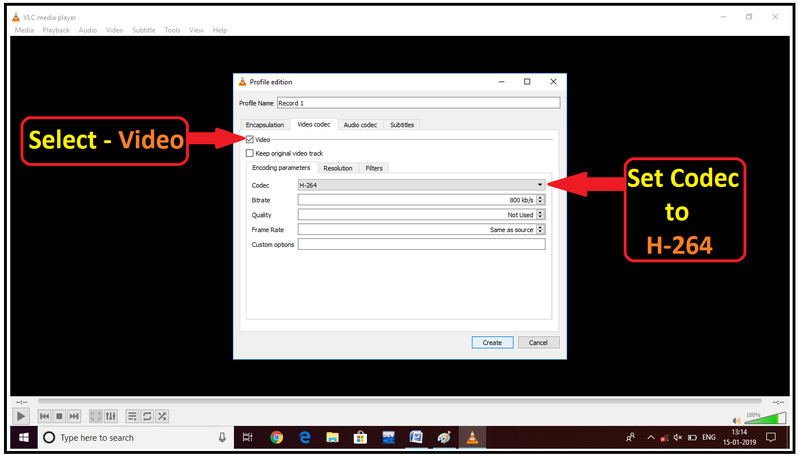 The next step, you have to set Destination or location where you want to save your video after recording and you also have to create a profile by clicking on the icon as shown in the picture below. 4. At first, you have to give a name to your profile (Example – Record1) and set Encapsulation to MP4/MOV. 5. Now move to the video codec, under video codec click on the video (see the picture below) then set the codec to H-264 and click on create. After doing all this process now your VLC media player is ready to record your computer screen just by clicking on the start button.